We all know about the “obvious” considerations when you begin fertility treatments, like doctors and tests, and the time involved in each. Then we might think about the next level of nutrition, sleep, and stress maintenance. But so often we forget about the literal monetary cost involved – this is some expensive stuff! And we can’t spend every penny, because at the end of it we need to have enough money left for the baby! The big numbers are overwhelming and reaching them can feel hopeless, but the truth is, it’s doable for most of us. It just takes the right approach. That’s what I’m giving you: a doable approach to cover the money. Because this turned into a way-too-long post, it’s divided up into 2 parts. Today is all about the “what” and Part 2 is all about the “how.” That will make sense as you read through them. Buying/renovating a house or affording fertility treatments? Buying a new car or or affording fertility treatments? Getting manicures, facials, and massages or affording fertility treatments? Going out to dinner 3 nights a week or affording fertility treatments? Ask yourself this question for Every. Single. Expense. Keep in mind that these choices will be temporary. After your treatments are paid for, you can reevaluate them. And remember, it’s ok if fertility treatments aren’t always your top priority. The most important thing is to be honest with yourself. What I’m going to tell you today won’t help you at all if you’re not honest with yourself. Step #2: How much will it cost? We all know there’s no simple answer to this question. There are a lot of factors and often there’s no specific timeline. The first step is to decide how long you are willing to go through treatments. What is your limit? 2 years of acupuncture? 8 months with a nutritionist? 3 rounds of IVF? These limits will be based not only on your finances but on your physical and emotional needs. Once you have an idea of your limits, get estimates on the costs for them. We all hope that maximum time period won’t be needed, but I would rather see you have money left over for junior’s college fund than to be in debt before you’ve brought her home. Speaking of which, if you’re in the United States, this is the point when you should be calculating not only the cost of fertility treatments, but also the cost of giving birth. The medical and hospital costs for a completely “healthy” pregnancy and “noneventful” childbirth can be substantial. Look into your insurance coverage and calculate these. If you have a choice of different insurance plans, see what fertility and childbirth coverage is for each before choosing a plan. If you can’t switch plans now, consider switching during the next enrollment period. A few hours of research on this can save you many thousands of dollars. Now, add up the cost of fertility treatments, pregnancy costs, and childbirth. This is your goal number. If it’s big and scary and overwhelming DON’T PANIC! We’re going to get through this, I promise! I see it all the time. Someone wants to save up for something big so they say, “I’ll just save as much as I can every month and it will work out.” Sometimes that works. Usually it doesn’t. Even worse, some people say, “I’ll put it on my credit card and pay it off later.” Guess what? That doesn’t work so well either. Because if they can’t afford the payments up front, then they usually can’t afford the payments + interest later. And in your case, I especially want you to avoid taking on debt, because then you’ll have the payments + interest + baby costs. I want you to avoid that nightmare. On the other hand, when I make plans for my clients and they follow those plans, they succeed. Every time. That’s what you’re going to do: make a plan, follow it, and succeed. The trick is to make a plan that’s realistic! It’s easy to say, “I should be able to spend less on X, so I’ll cut it out of my budget.” That sounds great, but if you’re not going to be able to follow through, you’re setting yourself up to fail. Then you’ll feel guilty, embarrassed, and like a failure. Does that sound familiar? Yeah, we don’t want that. Budgeting isn’t about guilt and embarrassment. It doesn’t have to be difficult. Reread those last 2 sentences a few times until you believe it. Then you’ll be ready to make your plan. The plan itself will come in the next post. This step is about preparing your mindset and understanding that yes, you will need to follow a specific plan. Step #4: Where are you now? You know what you want: to pay for fertility treatments. You have an idea of how much that will cost. Now it’s time to figure out where you are now, because trying to reach your total needed without knowing your current status is like trying to navigate a map without knowing where you are. It simply doesn’t work. To avoid this turning into the length of a book, I’m going to give you some basics here, with links to posts of mine that will provide more detail. First, what is your current net worth? Your net worth is simply what you own (your assets) minus what you owe (your debts.) Add any categories that apply to you (substitute your own retirement accounts for the U.S. versions in this chart, for example) and add up each column. Then subtract: assets – debts = net worth. Download your own copy of the chart here. Knowing this is a great first step! You can learn more here. Don’t worry if you have a lot of debt. We’re going to address that in Step #6. Next, what is your current income? You might think you know it, but many of my clients have been wrong about this. Take a few minutes to review your recent bank statements, debit and credit card bills. Include your year-end bonus, holiday gifts from family, and that $50 here and $80 there that are so easy to forget. You will find this very helpful in the next post. For now, you can feel good about knowing what your spending is – most people don’t know this, and now you’re ahead of the curve! If you’re going to have a baby, you must have an emergency fund. The truth is, everyone needs an emergency fund, but you need it even more. This means you will not spend every penny you have on fertility treatments. That’s a recipe for disaster. Instead, you will have the comfort of knowing that if there’s a medical emergency, if your car bites the dust, or if you suddenly have to move, you have it covered. I want you to have at least $5000 in the bank. Ideally you should have enough there to cover your expenses for 6 months, but start with $5000 now and build up from there. That might feel like a lot, but trust me, you need this. If you’re going to save up enough for fertility treatments, you need to start here. How you will save $5000 if you don’t have it yet will be covered in the next post. Whenever you read about the reasons why debt is a problem, you might feel uncomfortable because you already have debt. If you do, the first step is to stop making more debt. Cut up your credit cards because from now on, you need to spend less than you’re earning. Remember the priorities? If you want them to come true, you need to stop living off debt. Look at your bills from last month. 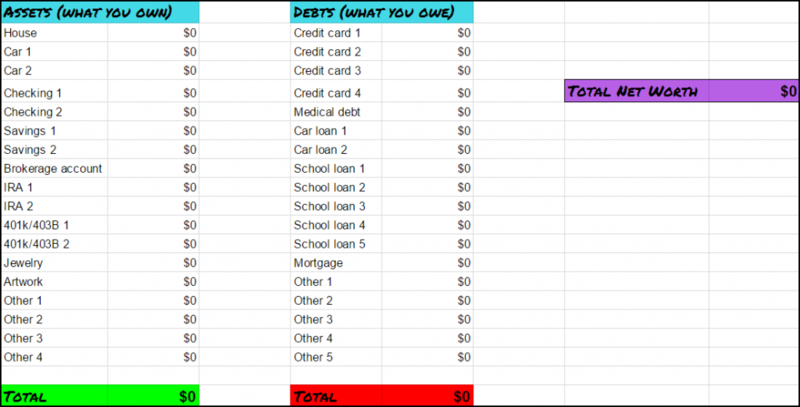 How much did you pay towards debt? Imagine if you had that money free to spend on other things! One of my clients had typical debt: a couple of credit card bills, a car payment, etc. He was paying $900 per month towards that debt. He paid it all off last month and he now has $900 extra to save up every month! Imagine that! Follow the steps I will give you in the next post to pay off the debt you already have. You might not pay off the mortgage or a large student loan, but you should pay off the rest, including credit card debts, car loans, personal loans, and medical debt. This is so important because you will be able to put those monthly payments towards fertility treatments instead. Plus, interest adds up fast, and if you’ve got debt, you’re throwing away money on interest that I would rather see you spend on fertility treatments and, eventually, baby clothes and swimming lessons. Paying off this debt now will help you financially for the rest of your life. When you started reading this, you probably felt nervous about paying for fertility treatments. Now look at what you’ve got! You have prioritized which expenses you and your partner are willing to give up or reduce in order to pay for your fertility treatments. You have a sense of what the fertility treatments will cost. You are ready to make and follow a plan for success. You know your net worth, your current income, and your current spending. You are ready to create an emergency fund. You are going to stop creating new debt and pay off all of the debt you’ve already got. You’ve come so far already! Congratulations! Now it’s time to talk about how to make this happen. It’s one thing to talk about saving thousands of dollars, but how will you actually do it? We’re going to cover that in Part 2, so stay tuned. It’s about to get even more exciting! To get a FREE downloadable PDF of this post that you can save or print to reference any time you want, visit Nest Egg Chick’s page created just for Katie’s readers here. Julie Morgenlender is a Financial Freedom Coach, working with women to end their money stress and become money-EMPOWERED instead. She works with women to pay off debt, build up savings, take control of their money, and fund their dreams. She blogs at juliemorgenlender.com and runs the Nest Egg Chick Facebook group. She also enjoys knitting, crochet, reading just about any genre of book, writing a book of her own, and cuddling with all of the neighborhood dogs. Because dogs!